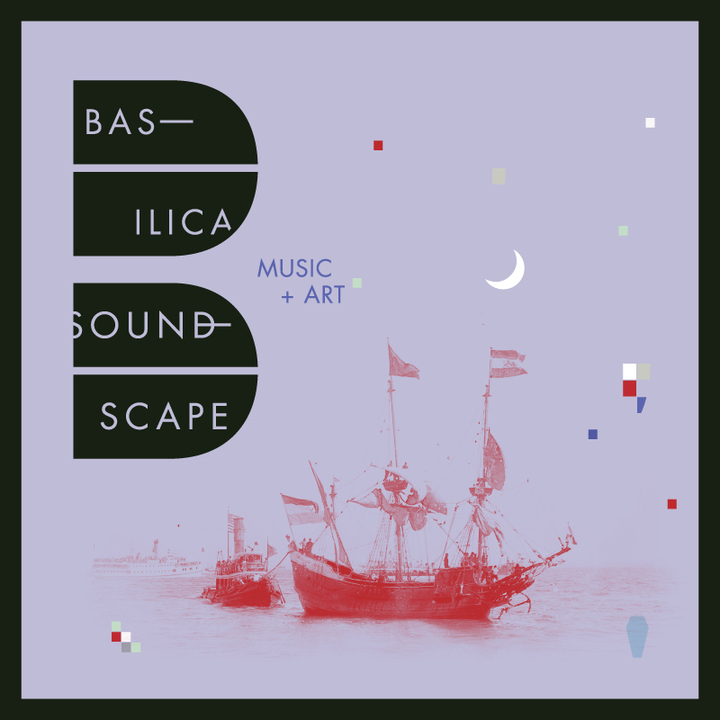 For Basilica SoundScape 2016 please click here. For the fourth straight year, Basilica Hudson’s Founders and Creative Directors Melissa Auf der Maur and Tony Stone are working in collaboration with Pitchfork Managing Editor Brandon Stosuy and Brian DeRan of Leg Up Management to program Basilica SoundScape, a carefully curated weekend that’s been called “the anti­festival” by various publications for offering of a thoughtful mix of music, visual art, and literature. Friday begins with a screening of We Won’t Bow Down, a film exploring the secret culture of the Mardi Gras Indian, followed by the psychedelic folk of Weyes Blood and a sitar and tabla concert by Indrajit Banerjee & Gourisankar. Next up is Toronto-based composer, producer and singer Lydia Ainsworth, followed by fellow Canadians Viet Cong. The outsider house of Actress and noise-rock favorites HEALTH will close the night. Special guest visual artist Dan Colen will present a suite of new, large-scale paintings from his “Tar and Feather” series — all made on site at Basilica Hudson in the weeks leading up to Basilica SoundScape. A musical set by experimental folk project Circuit des Yeux kicks off Saturday, followed by a reading of The Night She Slept With a Bear by Holly Anderson & Chris Brokaw. Later, the Brooklyn-based Sannhet plays a metal set, followed by Norwegian singer Jenny Hval. Next up is Triangle Trio, a drumming outfit comprised of Chris Corsano, Otto Hauser and Ryan Sawyer created exclusively for Basilica SoundScape. Noise legends Wolf Eyes are on next, followed by Writers in the Rafters with Dorothea Lasky, Ariana Reines, Sarah Jean Alexander. Critically acclaimed musician Perfume Genius plays a rare solo set, followed by Bjork collaborator and Tri Angle record producer, The Haxan Cloak. From 11 AM – 4 PM and FREE ENTRY. Featuring Nicole LoBue of Alimentary Kitchen serving a spectacular morning feast. The brunch will be accompanied by a mini Basilica Farm & Flea, a preview of Basilica’s wildly successful Thanksgiving weekend marketplace showcasing a collection of quality products presented by a diverse group of regional makers, farmers, and vintage collectors in collaboration with Hudson River Exchange. Sunday’s happenings are free entry, family-friendly and open to all. To complete the weekend on a high note, Second Ward Foundation presents it’s second year of “440Hz” on Sunday, September 13th. This year will feature three acts from the roster of acclaimed label, Western Vinyl: Glass Ghost, Chris Tignor, Luke Gilford (Here We Go Magic) and Hudson’s own Alexander Turnquist. Video selections from the collection of Second Ward will be on display. Doors at 7PM, $15 suggested donation. Second Ward Foundation is located at 71 North Third Street, just a few blocks from Basilica Hudson. On Saturday from 12 – 4pm, Basilica SoundScape campers can experience an ongoing sound bath in the beauty of the Meadowgreens campground. Rejuvenate your ears, body and mind before heading back to Basilica for another night of innovative sound and art. Bring water, your sleeping bag and anything else you need to be comfortable, and feel free to come and go throughout the duration. Donation of any amounts accepted. Conducted by Hudson-based sound healer Lavender Suarez. Basilica is currently full for volunteers at this event. If you wish to join the wait-list please sign up! Car pooling is the most affordable way to get to Hudson, NY. It’s a 2 hour drive from NYC, and with 4-5 people to a car and one tank of gas, you are here cheap and fast! Don’t have a car? Sign up for Zip Car. Train is the funnest way to travel to Hudson, NY. It’s 2 hours from Penn Station, train runs along the beautiful river, has a snack car, and the Basilica is conveniently located 400 feet south of the Hudson NY Amtrak station. However, the trains sell out quickly and get expensive as availability runs out, so you must book ASAP. Train tickets are 100% refundable, better to be safe than sorry – Book now! Shuttle service and information for Campers! Pick up your passes starting at 2pm today at Basilica Hudson. Camping shuttle starts running at 3pm with pickup at Basilica, will get you to Meadowgreens around 3:30, and will run about every hour after that, round trip, so you’ll have time to spare before doors open at 6pm. Carpooling or taking the shuttle is encouraged for those without cars and to keep our planet greener! For a full Upstate NY experience, we encourage the greenest and most affordable place to stay. NO CAR NEEDED! – Does not include tenting gear or adventurous spirit! Limited availability Make a camping reservation. Walking distance options, luxurious and book up fast!